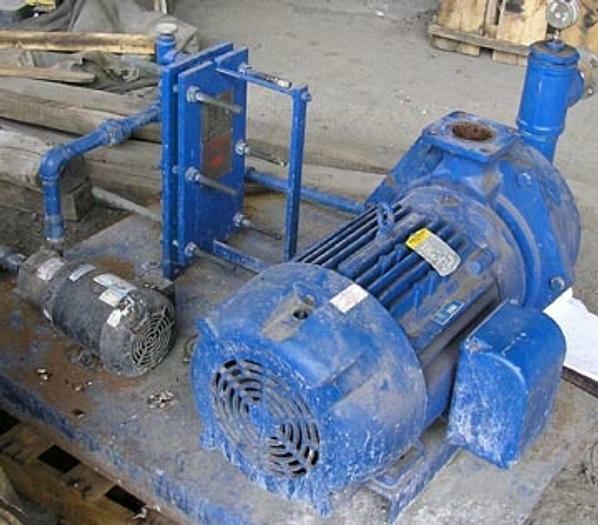 Liquid Ring Vacuum Pump Single Stage Cast Construction, Model A-200:Serial # 26522. Powered by Baldor 15 HP 208-230/460 Volt Motor: 1160 RPM. Frame 284TYZ. The vacuum pump is complete with 1/2 HP circulating cooling water pump manufactured by March Pumps. Model TF-6T-MD and connected to ITT Heat Exchanger Built 2002.